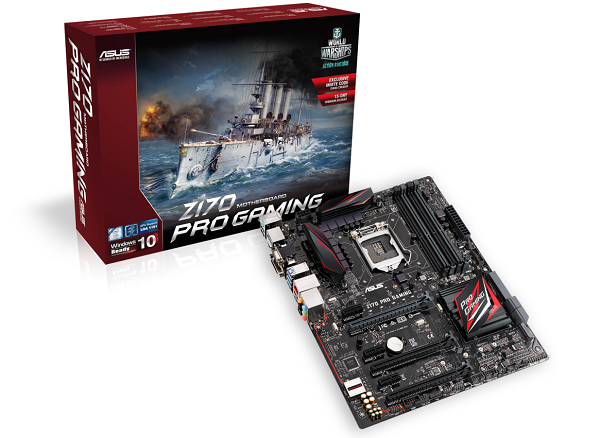 ASUS has just announced their complete lineup of Z170 motherboards designed to maximize the potential of 6th-generation Intel Core processors. The high-end ROG and mid-range Pro Gaming motherboards, feature-rich ASUS Signature, and TUF Series motherboards feature exclusive technologies that ensure better performance stability, ease-of-use, and comprehensive upgrade options. These motherboards are also compatible with the first 100W USB 3.1 power delivery (UPD) front panel. ROG prides itself in combining exceptional performance with stunning design. The ROG Maximus VIII Series dominated the 2D, Legacy, and Unigine Heaven benchmarks – setting eight world records and achieving 12 first global places. 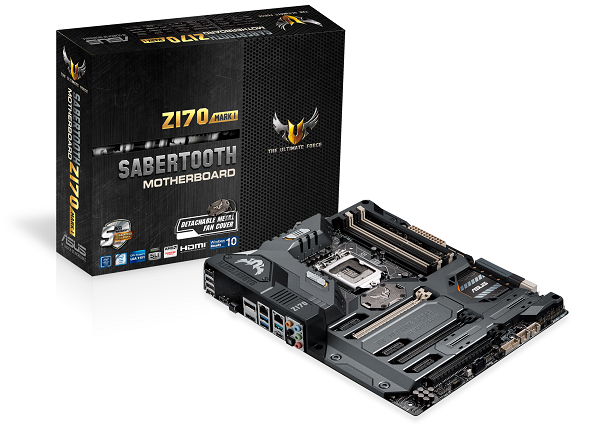 The Sabertooth Z170 Mark 1 brings a completely new design language to TUF motherboards, with its futuristic battle-inspired sleek and stealthy Thermal Armor finished in black and metal gray color — a powerful statement of style and strength. TUF ICe, Thermal Radar 2, and TUF Detective 2 deliver complete and customizable system cooling and monitoring that can be controlled via Thermal Radar software or mobile devices. The military-grade components used in TUF motherboards undergo the industry’s most-punishing tests to ensure reliable 24/7 durability. ASUS Pro Clock technology has a dedicated base-clock (BCLK) generator designed for 6th-generation Intel processors for overclocked base clock frequencies of up to 400MHz and beyond. It works in tandem with the ASUS TurboV Processing Unit (TPU) to enhance voltage and base-clock overclocking control, and boosts performance up to 5.2GHz or more. Second-generation ASUS T-Topology takes DDR4 memory overclocking to new heights. A customized trace layout reduces crosstalk and coupling noise to ensure time-aligned signal transfer for improved memory stability and compatibility. 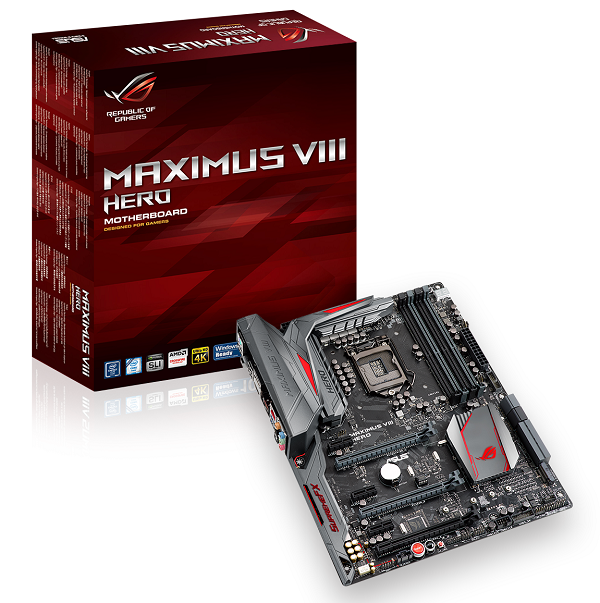 There is also enhanced DDR3/3L support on select motherboards for additional flexibility and compatibility. 5-Way Optimization, another ASUS-exclusive technology, dynamically optimizes essential aspects of the system based on real-time use, ensuring superb processor performance, everyday energy savings, ultra-stable digital power, cool and quiet fans and networking and audio settings that are tailored for preferred apps — perfect for gaming, entertainment, productivity or just about anything else. This latest iteration now includes a dedicated water-pump header so users can tweak pump speeds via the UEFI BIOS or Windows. The ROG Maximus VIII Series has set eight world records (WR) and achieved 12 global first places (GFP) in benchmarks. It achieved the best CPU frequency for an i5-6600K processor, with a frequency of 6.808GHz; and the highest reference clock (BCLK) with a frequency of 552.27MHz. 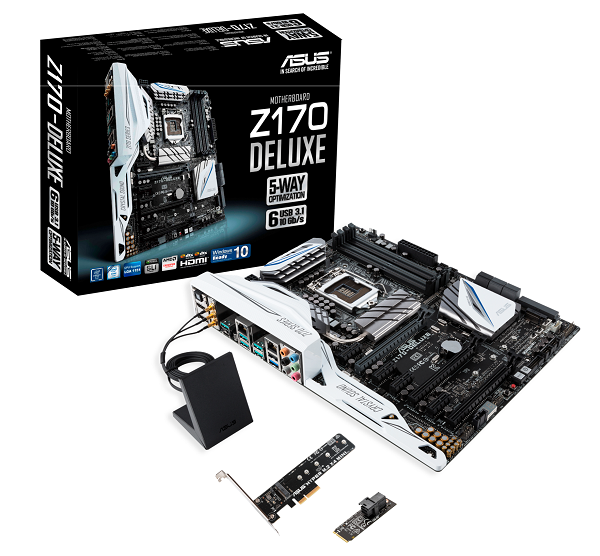 The new Z170 Series motherboards feature onboard USB 3.1 Gen 2 Type-A and Type-C ports to provide users with data transfer speeds of up to 10Gbit/s. On top of that, ASUS also offers the first 100W UPD front panel with two USB 3.1 Type-C ports. The upcoming Maximus VIII Extreme will be the first Z170 motherboard to feature an onboard U.2 connector along with Thunderbolt 3 support. Future models, such as the Z170-Premium and Z170-Pro motherboards, will feature Thunderbolt 3 and Intel USB 3.1 support respectively. The entire Z170 motherboard range supports the latest PCI Express and M.2 NVM Express SSDs to deliver 32Gbit/s data transfer speeds. All motherboards feature either 5X Protection II or Gamer’s Guardian, ensuring the finest components, exceptional circuit design, and exacting standards. The motherboards also feature LANGuard, overvoltage protection, precise digital power, overcurrent protection and a stainless-steel back I/O to ensure product quality, durability, and all-round protection.